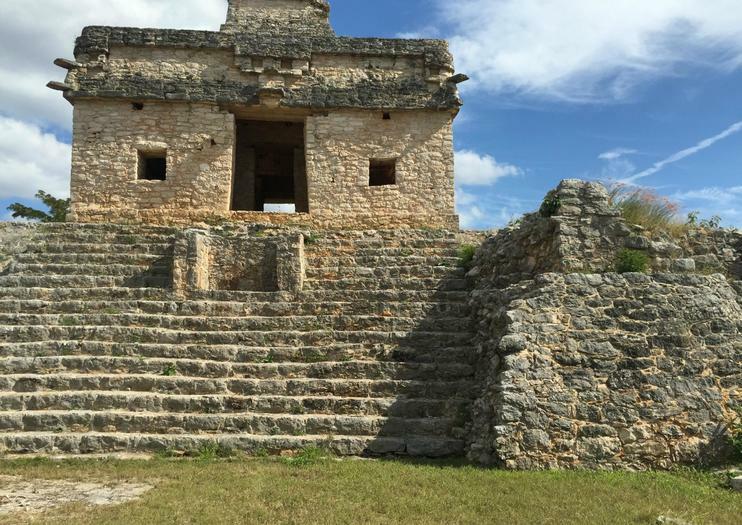 Near the ancient town of Merida, you’ll find the massive but beautifully ruinous structure known as the Dzibilchaltun Ruins. Though somewhat of a tongue twister for traditional English speakers, the name means “place where there is writing on the stones,” but unfortunately, due to erosion, you’ll no longer find much writing on the stones here. Instead, the intrepid explorer is rewarded with over 8,400 architectural structures to discover, many of which have astronomical (as well as religious) significance. Explore the stunning interior of the Temple of the Seven Dolls, listen to stories of absolute power at the Open Chapel and learn about the rich ancient Mayan civilization that was inhabited all the way through to 1500 A.D. when the Spaniards arrived. Dzibilchaltun is only nine miles from Merida. If you’d rather drive, take the Merida/Progreso Highway north for seven miles, watching the signs as you go. You will end up taking two right turns as you make your way to the ruins. Discover both the Yucatan capital of Merida and Dzibilchaltun—an ancient Mayan archeological site—on a shore excursion from your Progreso port of call. Begin with a sightseeing tour of Merida, the peninsula's cultural center. View the elegant 19th century mansions along its Paseo de Montejo and pay a visit to the Gran Museo del Mundo Maya—an artifact-filled museum dedicated to Mayan civilization. Next explore the Dzibilchaltun ruins and its intriguing Temple of the Dolls. You can even go for a swim onsite before returning to port. Immerse yourself in Mayan culture on a full day exploring Merida's history and natural beauty. First, visit the ruins at Dzibilchaltun where you will see the Temple of the Seven Dolls. Visit a museum to learn more about the site's historical significance, and peek inside a typical Mayan home. Finally visit the Port of Progreso to enjoy some beach time in the warm waters of the Gulf of Mexico before heading back to your hotel. The haciendas of Mexico were part of an economic system that began with the Spanish in the sixteenth century, similar to the feudal system of Europe. They were efficient farms and manufacturing centers that produced meat and other products for export. Over time, the haciendas became symbols of economic health and culture, adorned with architecture, furniture and art from all over the world. Like the southern plantations of the United States, the haciendas reinforced the caste system, based on race, with the hacendados as masters and the Maya or indigenous as laborers. Most of the Yucatecan haciendas in the 19th century produced henequen rope, a plant variety of the agave cactus, which was exported by the growing transport industry. Enjoy three mini-adventures on one convenient tour. First, travel to the archeological site of Dzibilchaltun to learn how the Mayans used the site and area in everyday life. Then visit Corchito, a nature reserve with cenotes, trails, and rest areas. Finally, head for Progreso Beach to enjoy a delicious seafood lunch (not included).